If you want to increase the odds that your business will be successful, you’re going to need to find a niche market. A niche market is a small piece of the greater market that a certain product or service is focused on. 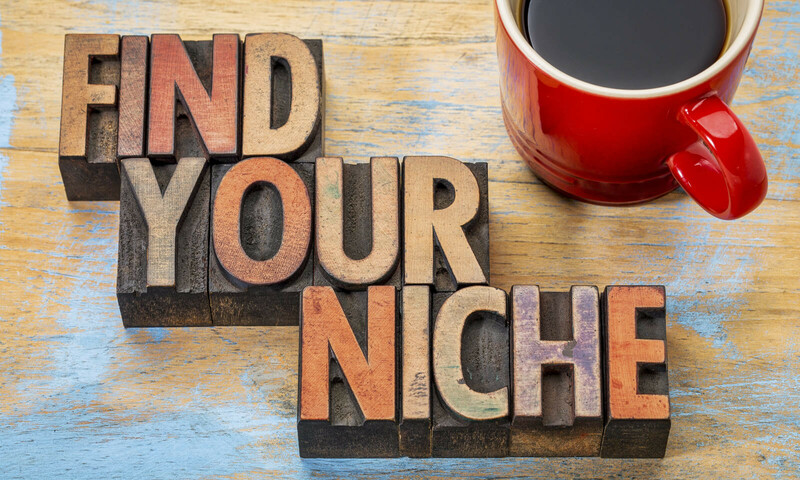 Finding your niche market is sometimes described simply as identifying a need and supplying a way to meet that need, whether it is via a product or service. In reality, this is a lot easier said than done. “What you’re expected to do when finding a niche is to solve a problem by looking for something that doesn’t exist yet, and then bringing that something into reality” says Ken Collis, Founder and CEO of TLK Fusion Marketing. Finding a niche market may seem counter-intuitive to the desire to run a successful business, and that’s a common feeling among would-be entrepreneurs. They argue that the smaller your customer base is, the fewer potential customers one has, the less money their business will make. That’s true, if you’re looking at the idea of finding a niche market the wrong way. “The term “finding a niche market” is worded a little strangely,” says Ken Collis, “at TLK Fusion Marketing, we think a better way of saying it is “finding your niche within the market.” You aren’t looking for a small number of people to market to, so much as a specific point in the lives of many people who will want your product during this time period. For example, a company that provides post-natal products for women is targeting only women who recently gave birth. However, half the world’s population consists of women – many of whom will be pregnant at least once in their lives – meaning that half the people in the world will be within your niche market at one point in their lives. If you already know what product or service you want to sell, and you just need to find a niche market to target, begin by brainstorming specific or even alternative uses for your idea. For example, someone who wants to start a moving business could specifically target college students going to and from school. Depending on where you live, certain industries will be over-saturated with entrepreneurs all looking to provide the same or similar products and services. The fitness industry in Southern California is a perfect example of this. Personal trainers, boot camps, gyms, and other types of workout programs are everywhere, and many of them are vying for a piece of the same pie. If your skills and abilities lie in the fitness realm, it can be discouraging to find out just how much competition you’re facing; that is, if you market yourself the same way your competition does. Choosing a niche gives you the added bonus of showing up in search engine results for people looking for products and services within that respective niche that may not know your business existed. To continue with the example of a personal trainer who caters to people wanting to lose weight before their weddings, the proper use of keywords and phrases on their website will have their personal training business showing up in browsing results that have to do with weddings and engagements as well as personal trainers. For example, someone who’s getting married in the Los Angeles area may jump on Google to plan their wedding and come across the personal trainer’s website. It may have never occurred to the person to hire a personal trainer before their wedding, but the fact that the service exists may pique their interest enough that they end up hiring the trainer. When you specialize in something, it gives you the opportunity to not only learn as much as you can about a very specific subject, but it telegraphs that notion of being an expert to your market, too. Have you ever gone to the doctor and been given a referral to see a specialist? If so, you’ve seen this principal first-hand. Doctors are given the same education, more or less, but only up to a certain point. After that, they receive in-depth training in a specific field of their choice. For example, a cardiologist studies the heart and systems associated with it. If there’s something wrong with your bones, they won’t be able to help you, and will have to refer you to an osteopath – a doctor who specializes in bones. It’s important to note that when you find a niche market to call your own, you follow in the footsteps of other specialists and do your best to learn as much as you can about the best way to service your niche market, lest you come off as a fraud. If you’re providing a product, being knowledgeable about the ins-and-outs of your specific niche is less important that it is if you’re providing a service. For example, to keep yourself from looking like a fraud as a personal trainer, you’ll need to have a vast array of knowledge regarding how to help people reach their fitness goals – and that knowledge has to work. As long as your niche market doesn’t tag you as a fraud, you’ll be well on your way to financial success.